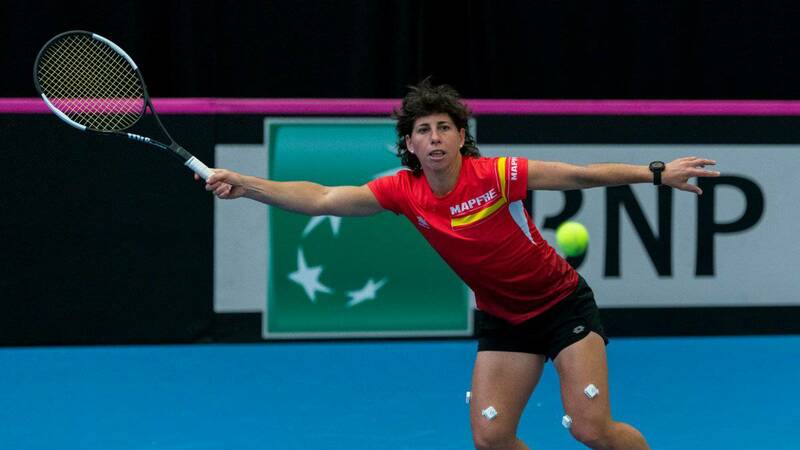 The Spanish women's team will play in Belgium with the aim of returning to World Group 1 of the Fed Cup. The matches, on Saturday and Sunday. The Spanish National Tennis Team is already in Belgium preparing the promotion playoff for World Cup I of the Fed Cup that will take place this weekend (April 20 and 21). The tie will be decided on the fast track covered by Sportcampus Lange Munte de Cortrique, with capacity for 2,300 spectators. The thickness of the Spanish delegation, with the captain Anabel Medina in front, landed yesterday in Lille this afternoon and traveled by car until the flamenco city of Cortrique, about 90 km west of Brussels, as reported by the RFET. will be the eighth showdown between the two countries, with a balance even but favorable to Spain (4-3) . The only precedent on Belgian soil it was played in 1997 with local victory 5-0 in Sprimont. The girls of Medina come to the meeting after beating Japan 3-2 home in the first round eliminator of World Group 2 played in Kitakyushu this February. The same weekend, Belgium lost at home to France 3-1 in the first round of Group 1 in Liege.